We can say simply that a bàcaro is a tavern, this could be too —— and not completely correct to say. Bàcaro is a typical tavern, featured by simple forniture, where mainly glasses of wine (ombre) are served along with small appetizers (cicheti),showed in the display window over the counter. 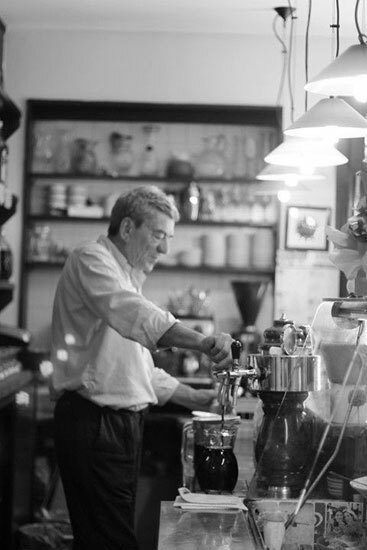 But, the main feature that characterized a real “Bacaro” is that is attended by local people, they have always used this place for chatting, laughing and speaking about the different aspects of life, under the control and conviviality of the bar-tender . The name ‘ bàcaro’ seems came from a Venetian expression as “far bacara” that means to have a party, to make noise, so in the end to have a fun. We have to take into account that in the past the tipical customer of the above mentioned places, is used to leave himself with the beverage, typical of “ Dio Bacco “ ( as said overdrunked), and so he didn’t use to respect public peace as it is nowadays. Also the names of the typical products of bàcaro, “l’ombra” and “cicheto”, have their roots; and as regarding as “ombra” its comes from the attitude of wine’s merchants,that in the past, used to keep the wine in a cool place, and so they moved the wine following the shade of the main tower in Saint Marco Square. ‘ cicheto’ cames from the latin word “ ciccus” that means “small quantity”, and still nowadays is used an italian version, as “cicchetto”. The classic “ciccheto” are: meatballs or fishballs, and’sarde in saòr’, or codfish in butter and small octopus “ fòlpeti “,they came into a wide range : from fried ones to those are on a slice of bread with a great variety of ingredients. This pages will bring you to discover the most authentic ‘bàcari ‘, where is still possible to find out the real Venice, and where you can taste the typical food, listening to the conversation of the local people and take part of this fascinating stage that ‘Venice is. what is a Bacaro Tour?